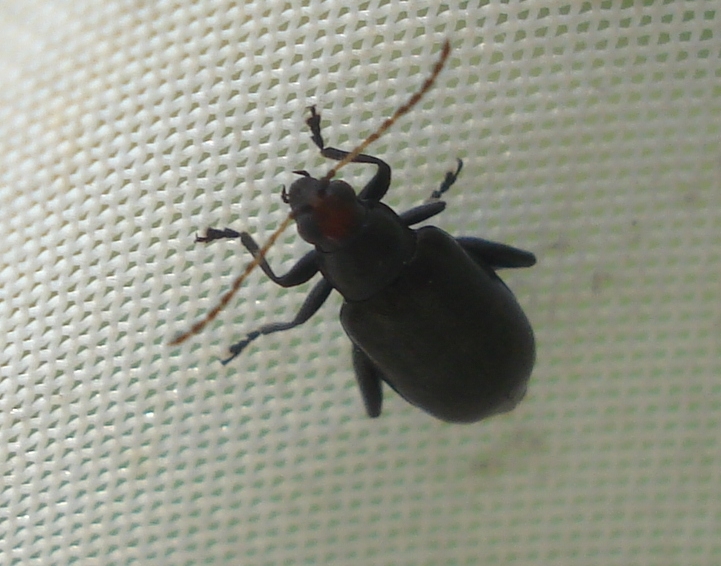 General Notes: Adult Red-headed flea beetles feed on the undersides of the leaves, while usually leaving the top leaf surface intact. 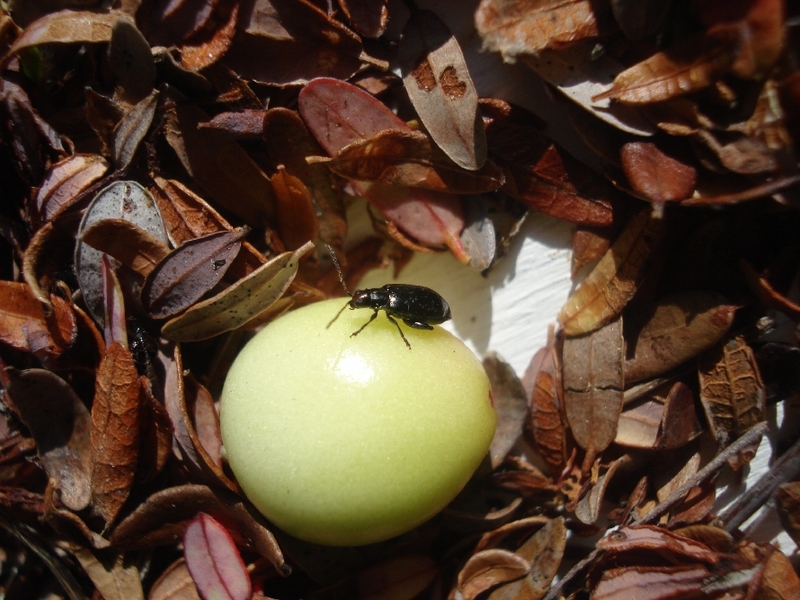 But they also gouge the berries, and overall, their feeding can significantly impact bud development for the following year if their populations are high. Populations of the adults are often very patchy. 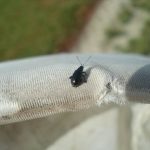 History of Occurrence in Maine: UMaine Extension first noticed this pest in Maine cranberry at two sites in 2009 with a heavy outbreak at one of those sites; increased to three sites in 2010, with fairly high numbers at two of the sites. 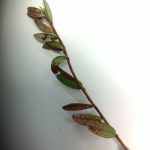 They were found at the vast majority of Maine’s cranberry sites in 2014 at very high numbers, throughout September; often find some routinely now each year, starting in August and continuing through September. 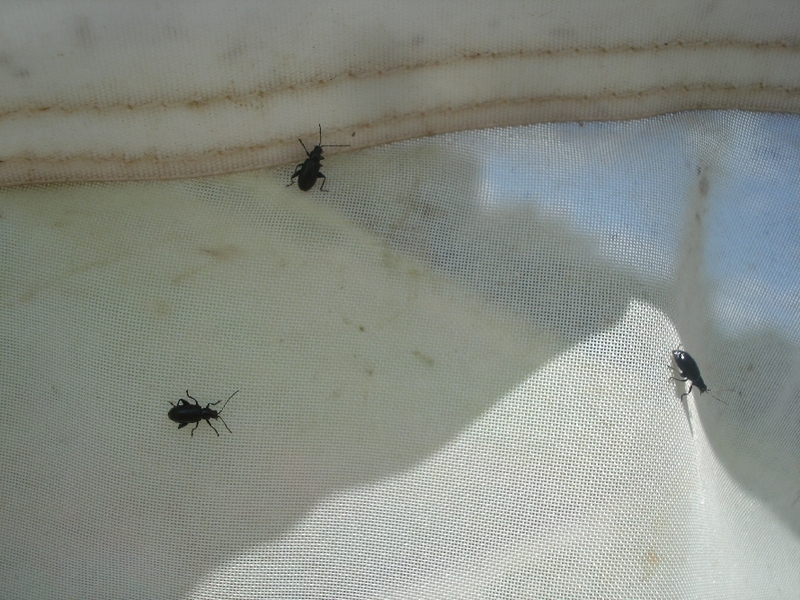 Action Threshold for flea beetles: There is no ‘firm’ or full-proof Action Threshold (AT) for this pest, probably because the adults can be very patchy on a bed, but if you are averaging sweep net counts of 15 or more per 25 sweeps, consider taking action against them. 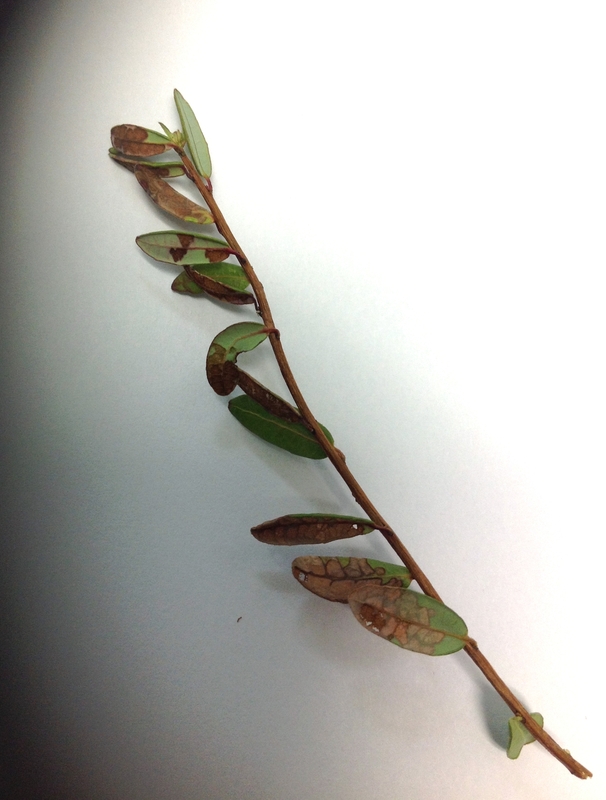 As stated previously, a high level of leaf damage can significantly impact bud development the following season. 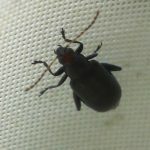 Since the beetles can be so patchy, be sure that you don’t just sweep or look for them in one portion of a bed; make sure you have good representation of the entire cranberry area. 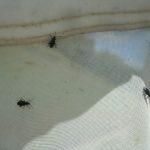 If you are still getting 15 or more beetles, across the entire acreage, one should be concerned and trying to control them would be justified. 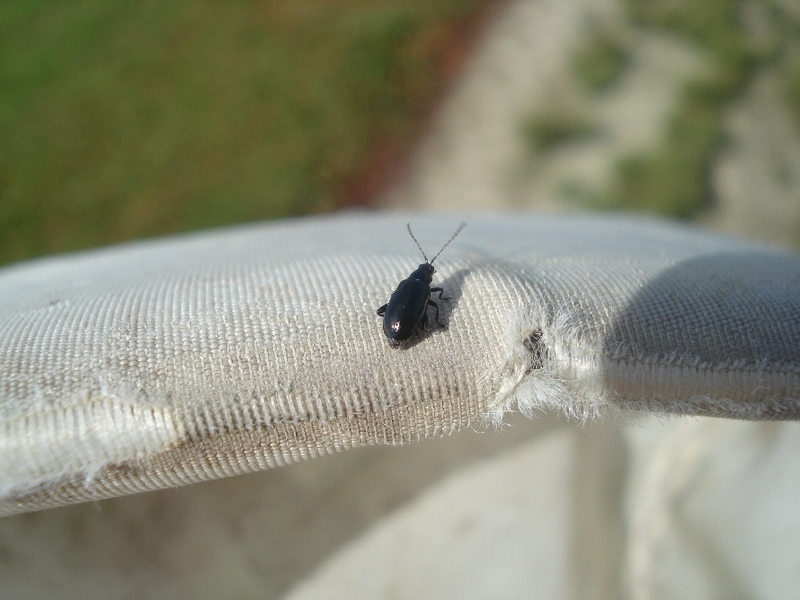 Description: As visible from the photos above, they are small insects (3.5 to 5 mm long), and are shiny and mostly black; there is a slightly reddish tint to their head that is visible when you look closely or especially when the sun catches it (look closely at the 4th photo above). Notice, too, their thick hind legs, which look a little like small grasshopper legs. 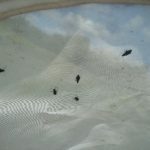 This is what makes them good jumpers, and hence is the source of the ‘flea’ that’s part of their name, but they can also fly as well. Life Cycle: There is only a single generation per year. 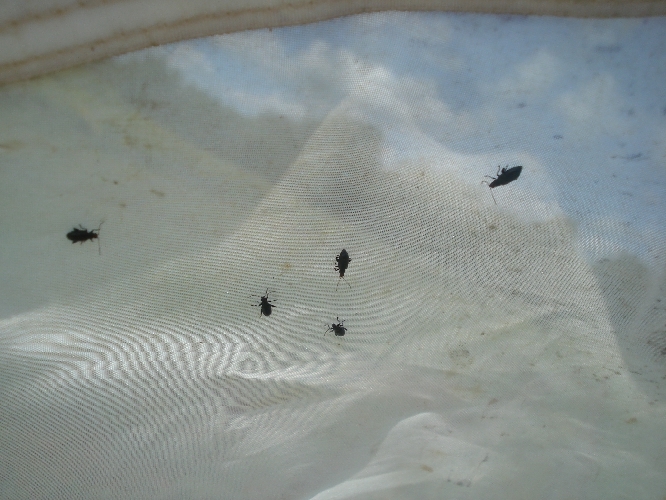 They overwinter in the egg stage and although the eggs hatch reportedly in May (probably not until June for much of Maine), the adults don’t begin to show up on cranberry beds until late in July (or sometimes not until August). 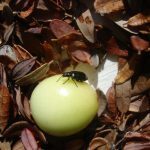 The adults remain on the beds for a couple of months, feeding, mating, and, when the time is right (late August – early September), laying their eggs, which are deposited just beneath the soil surface. 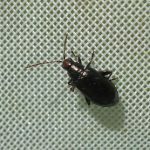 Control: For specific and current control recommendations for Maine for this pest, please refer to the Maine Cranberry Pest Management Guide.